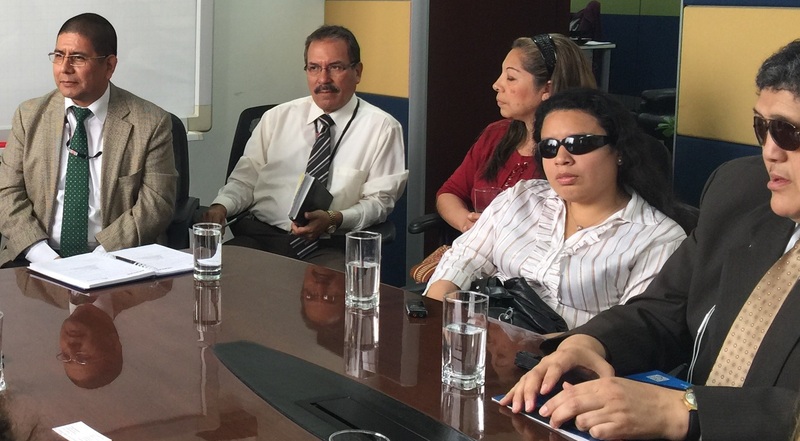 Increasing Access to Justice for People with Disabilities | Global Disability RightsNow! Access to justice is the equal ability to fully be heard and to participate in all aspects of the justice system in your country without discrimination on the basis of disability. Discrimination includes bad treatment on the basis of prejudice and stereotypes about disability (for example, that people with mental health disabilities are prone to commit violent crimes). It also includes a failure to provide reasonable accommodations to overcome historical and existing physical and programmatic barriers experienced by people with disabilities. Work on Access to Justice can be focused and technical, or broader--involving, for example, raising political and public awareness of discrimination against people with disabilities in the justice system in preparation for passing specific laws or regulations that require non-discrimination and reasonable accommodations in the justice system. Given the scope of the topic, it may not be possible to "fix"--or even work on--every aspect of increasing Access to Justice quickly. However, one strategy is for local Disabled Peoples Organizations (DPOs) to assess the needs of the disability community to determine which aspect or aspects of Access to Justice should be addressed by advocates. The assessment should consider the priority interests of their network, current opportunities and risks, and the status of ongoing relationships with government, businesses and other non-governmental rights organizations (NGOs). For example, a topical story about the discriminatory treatment of a person with a disability by police could provide a timely opportunity to raise Access to Justice for people with disabilities as a topic on which the political candidates in an upcoming election have to formulate policies and campaign promises. If a person with a disability is currently involved in a case in the courts, his or her failure to receive needed accommodations could become a focal point for outreach to news outlets as well as an opportunity to develop training materials, policies, and procedures for judges and courthouse staff to disseminate and implement within the state.